Flat Head Syndrome most frequently occurs when a baby develops a preferred head position and as a result the back or side of the skull becomes mis-shapen from the constant pressure on one spot. The simple concave design of the Mije Baby Head Rest helps reduce the pressure on a baby's head that causes the flat spot condition in young infants. The Baby Head Rest can be used in a variety of places: in the cot with the baby positioned on their back, playing on the floor, in a stroller or even in a car seat. 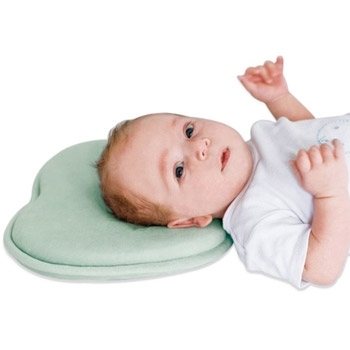 The flat head pillow does not restrict the natural movement of a baby's head. The Mije Baby Head Rest is recommended for newborns 0-4 months of age or until the baby has begun to roll. It should only be used while the baby is on their back. The baby head rest is not a traditional pillow and does not lift baby’s head. Rather, it provides gentle cradling to eliminate pressure on the skull. Using the Mije baby head rest from day one may dramatically reduce the risk of baby developing flat-head syndrome and the need for corrective treatment, such as helmet therapy. If within 4 months of birth, a flat spot is detected, the baby head rest may prevent it from worsening and can often correct the condition. 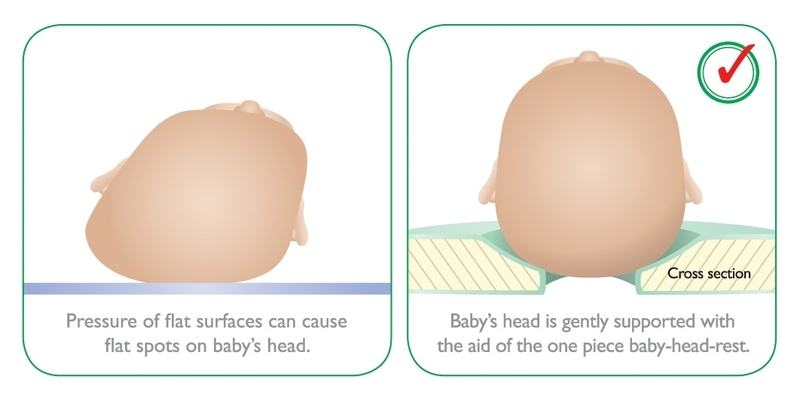 For more information about what is flat head syndrome, causes and how to prevent flat head in babies (click here) please look at the information provided on The Royal Childre's Hospital Melbourne website. Started using when baby was 3 months since they developed very noticeable flat spot has made a big difference the flat spot is almost gone. Wish I started using it earlier. 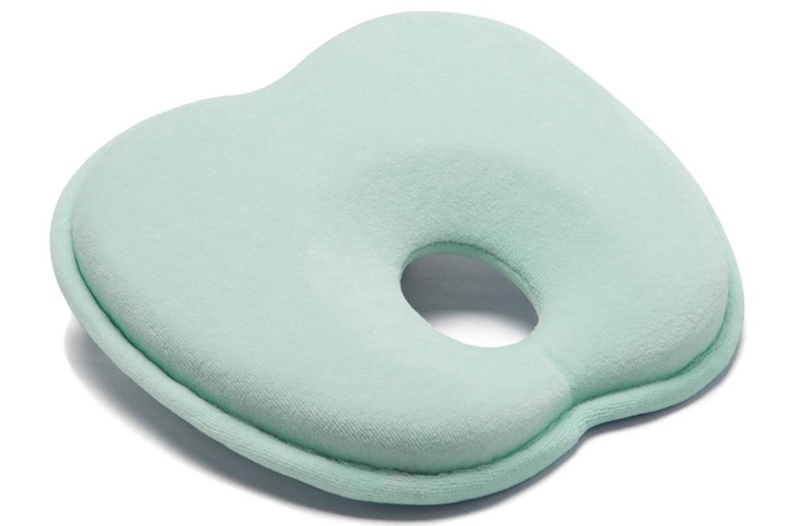 We ordered this pillow after being advised by our paediatrican our 8 week old baby had mild plagiocphaly. After the first night of using this pillow we saw an improvement! We use this pillow in his cot, on the change table, play time, in the pram and in his rocker. My baby has complete free range movement of his head and neck which makes him feel comfortable and happy. Combined with Physio, lots of tummy time and this pillow his flat spot will correct it self. I would recommend this product to any parent.